A referendum on the future of the United Kingdom (UK) within the European Union (EU) divided both the ruling Conservative Party (CP) and its main rival, the Labor Party. Results from the vote gave the Leave side a 52-48 percent profound victory that reversed the decision of 1973 when Britain entered the-then European Economic Community. Prime Minister David Cameron announced his resignation on June 24 paving the way for Boris Johnson, the Conservative Member of Parliament (MP), who led the political break with Downing Street, placing him in a position to succeed the incumbent when he steps down in the immediate future. On the Labor side of the aisle, Jeremy Corbyn, considered as a representative of a more leftwing trend within the party, is also under fire for taking the same position as the Conservatives supporting the Remain forces although in a very lackluster fashion. Corbyn spoke after Cameron before the UK parliament on June 27 and was heckled by members of his own party. Over 20 shadow cabinet ministers for Labor have resigned demanding that Corbyn relinquish his leadership position. International financial markets have plunged in response to the British vote to withdraw from the EU. Bank stocks have tumbled significantly with Barclay’s and the Royal Bank of Scotland (RBS) suspending trade during a brief period on June 27. The British pound suffered its largest loss in over three decades. The Chancellor of the Exchequer, George Osborne, a Conservative MP, made a national address in an effort to calm fears among capitalist investors stressing that this was only a temporary correction and that it would not rise to level of 2008 when the world fell into the most severe recession since the Great Depression. Standard & Poor downgraded the British economy amid the decline in markets on June 27. The debate surrounding the Brexit vote has been acrimonious and violent. Labor MP Jo Cox, a proponent of Remain, was assassinated by a right-wing zealot leading up to the election. 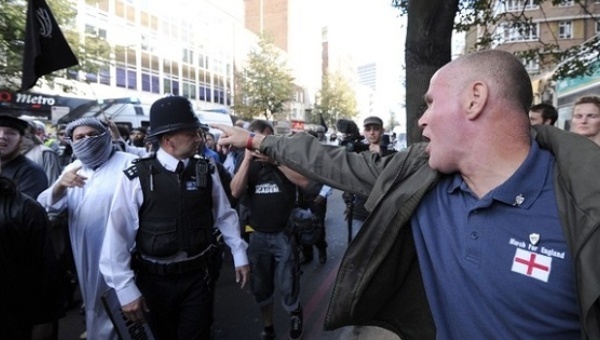 Simon Wooley, who monitors racial incidents in Britain, said over the British Broadcasting Corporation (BBC) on June 27 that incidents of racism and xenophobia had increased by 57 percent over the last few weeks before and after the referendum. The decision by British voters to quit the EU has implications far beyond its own nation. Both neighboring Scotland and Northern Ireland, which are part of the United Kingdom, voted in a comfortable majority to Remain. These developments have prompted calls from Scottish First Minister Nicola Sturgeon and Northern Irish Sein Finn Deputy Leader Martin McGuinness to hold their own referendums on independence from Britain. With Britain being the largest former colonial power which controlled vast territories of the world in Africa, Asia, the Caribbean, North and South America, its economic and cultural influence is immense. The Commonwealth of Nations, which was established by the British monarchy, still encompasses 53 countries linked by economic relations. 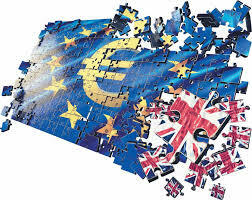 Consequently, numerous African states have various responses to the Brexit referendum and its potential impact on their political and economic affairs. Throughout the leading African states there has been an economic downturn over the last year resulting from the decline in commodity prices, the devaluation of currencies, a reduction in foreign direct investment along with the effects of El Nino in the southern region as well as the escalation of social and labor unrest in states such as South Africa, Zimbabwe, Egypt, Nigeria and Ghana. South African leaders stressed the need to limit the impact of the outcome. The EU is the largest economic bloc trading partner with South Africa requiring the government to renegotiate trade agreements with both the UK and Brussels. Finance Minister Pravin Gordhan attempted to reassure the people that the country was capable of dealing with the effects of the Brexit vote. Nigeria facing an economic downturn like South Africa with currency devaluations, foreign exchange liquidity problems and rising unemployment, expressed regret over the vote but will struggle to deal with the potential negative consequences of the historic decision. Inside Britain leading left parties in the country supported the Leave position noting that the EU is an imperialist construct that has intensified exploitation of the working class. The various parties did differ on the rising split within the Labor Party which on June 27 resulted in high-level defections from the opposition under Corbyn’s leadership. The Morning Star of the Communist Party of Great Britain (CPGB), Proletarian Online of the Communist Party of Great Britain, Marxist-Leninist (CPGB-ML) and The New Worker of the New Communist Party of Britain (NCP), all called for their members, supporters and readers to reject staying within EU. Violence erupted on June 20-21 in City of Tshwane Metropolitan Municipality after a disagreement over the African National Congress (ANC) selection for a mayoral candidate. In several townships surrounding the capital of Pretoria, crowds attacked public buildings, transport buses and commercial enterprises. Numerous locations and vehicles were torched resulting in the military being placed on standby. Local and provincial police were able to contain the unrest after government employees and other workers were sent home by midday on June 21. South Africa is holding its local governmental elections on August 3 where over 200 different political parties will field candidates for mayors and municipal councils. The rival opposition parties, the Democratic Alliance (DA) and the Economic Freedom Fighters (EFF) are making efforts to increase their representation in cities, suburbs and rural areas angling in preparation for a greater portion of the national parliament in the 2019 assembly and presidential elections. The unrest was immediately condemned by the ANC leadership and did not result in a change in its existing candidates’ list. The ruling party distanced itself from the violence saying that those involved were not ANC members but criminal elements seeking justification for looting and property destruction. Tshwane Mayor Kgosientso ‘Sputla’ Ramokgopa on June 21 attempted to calm ANC supporters who were in favor him retaining his position, although the ruling party officials did not accept his nomination to stand again in the August 3 municipal poll. Ramokgopa’s Deputy Mapiti Matsena also sought to unify party members in support of the ANC’s selection of its candidate, Thoko Didiza, who is not from the Tshwane region but KwaZulu-Natal province. Ramokgopa addressed members of the ANC in Atteridgeville along with Minister of Health Aaron Motsoaledi. Nonetheless, he was met with stiff resistance from residents shouting and chanting “No Sputla. No vote”, after being asked to accept Didiza as the party’s candidate. The Congress of South African Trade Unions (COSATU) has also condemned the violence and given a resounding endorsement to all ANC mayoral candidates. On June 21, the South African Communist Party (SACP) came out in full support of the ANC’s intervention in Tshwane endorsing the nomination of Thoko Didiza. This was spelled out in a statement released by SACP Gauteng Provincial Secretary Jacob Mamabolo and Provincial Spokesperson Lucian Segami. Later on June 26, the SACP announced that five of its district leaders in Tshwane were charged with bringing the organization into disrepute following the violence in the capital. The party suspended the members for their alleged involvement in the unrest on June 20-21. The unrest illustrates the rising tensions inside the country which is undergoing an economic downturn amid the upcoming August 3 local governmental elections. Due to the reduction in commodity prices, growing joblessness and the declining value of the rand (national currency), the country is experiencing tremendous hardships. Developments within the EU which is the leading economic bloc trading partner with South Africa will heighten uncertainties. A process of renegotiating trade agreements involving Britain and the EU could complicate economic relations in the short and medium terms which will have an impact on political developments inside the country. 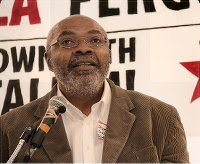 Listen to this special edition of the Pan-African Journal: Worldwide Radio Broadcast hosted by Abayomi Azikiwe, editor of the Pan-African News Wire. This program features our regular PANW report with dispatches on the continuing fallout around the Brexit vote this time on the Labor Party where members are calling for the ouster of Jeremy Corbyn; in Somalia there has been an attack at a hotel in the capital of Mogadishu in the Horn of Africa state; the North African state of Libya is still the scene of deadly violence in the eastern city of Benghazi the birthplace of the counter-revolution of 2011. In the second hour we conclude our monthlong commemoration of the 50th anniversary of the Black Power Movement looking at its antecedents through Malcolm X through Stokely Carmichael. The conclusion of the episode begins a discussion of the continuation of the Black Power Movement and the urban rebellions into Detroit which held the largest uprising the following summer in July 1967.. Listen to this edition of the Pan-African Journal: Worldwide Radio Broadcast hosted by Abayomi Azikiwe, editor of the Pan-African News Wire. This program will feature our regular PANW report with dispatches on the fallout from the Exit vote by the British electorate to leave the European Union; we will look at the positions of leading left organizations; the response to the vote in South Africa, Zimbabwe, Nigeria and the United States. In the second hour this episode will review the history of Mozambique in light of the 41st anniversary of its delcaration of independence on June 25, 1975 from Portuguese colonialism. 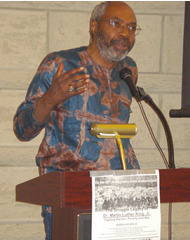 Finally in the third hour we continue our focus on the 50th anniversary of the Black Power movement. MORE people are in favour of increased government spending for those from less privileged backgrounds as the wealth gap widens even further, a landmark report revealed yesterday. An overwhelming 82 per cent of people who consider themselves working class believe the differences between the haves and have-nots are increasing at a stark rate. Sixty per cent of respondents to a survey by NatCen research centre say they are working class and 40 per cent describe themselves as middle class — the same percentages as in 1983. Almost half of people in professional and managerial occupations say they are working class, the British Societal Attitudes report states. However, more than two-thirds of workers said their bosses did not offer long-term job security although nearly everyone surveyed (92 per cent) said they wanted more certainty for the future. Support for increasing taxation, and spending on infrastructure, is at its highest point in more than a decade since 2003, with 45 per cent of respondents in favour. Seventy per cent are opposed to cutting benefits and 39 per cent think that the government should spend more the NHS and on welfare for the poor, particularly single parents. NatCen research director Elizabeth Clery said: “We have witnessed a big rise in support for higher public spending; support is now back to a level not seen since before the financial crash. “After seven years of austerity the public is clearly worried about the funding of the NHS and reckons that, for some groups at least, spending on benefits should be increased. Even the controversial bedroom tax levied on social housing tenants is less popular than benefits for single parents among young adults who struggle with housing themselves, Ms Clery added. This is an example of huge clashes of opinion over welfare within just one age group. A majority (55 per cent) oppose cutting housing benefit for those with a “spare bedroom” but 48 per cent of 18-24s support the policy, compared with only 31 per cent of people aged over 75. The report shows polarisation is continuing to develop among people from less privileged backgrounds, according to the People’s Assembly general secretary Sam Fairbairn. He said: “The truth is, after years of Tory-led governments, the austerity ideology has been exposed for what it really is — a redistribution of wealth from the poorest into the pockets of the rich. “That’s what this government’s legacy will be. People are fed up with being told they have to tighten their belts while we see the corporations avoiding tax. “Then the bankers had received massive bonuses and CEOs like Philip Green are risking pensions and jobs belonging to other people for their own gain. 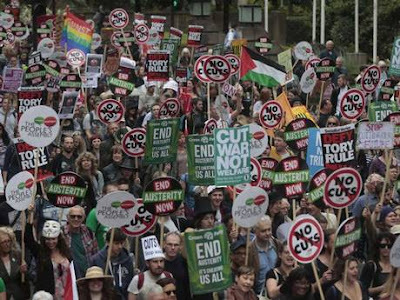 Emergency demonstrations organised by the People’s Assembly and Stand Up to Racism are being held on Saturday July 16 in London and across Britain. LABOUR MPs behind the coup against Jeremy Corbyn are facing an angry backlash from grassroots activists who overwhelmingly support the party leader. The majority of Labour’s MPs backed a vote of no confidence in Mr Corbyn on Tuesday in a bid to force him to resign from the post just nine months after he was elected with 60 per cent support. But Mr Corbyn retains huge support outside the corridors of Westminster — including in the constituency of one of the favourites to stand against him in a new leadership election. Members in Angela Eagle’s constituency said yesterday that her decision to cast a vote of no confidence against Mr Corbyn flew in the face of their views. A letter to Ms Eagle from the Wallasey CLP secretary shows that, at a meeting on Friday, members mandated her to “reject the motion of no confidence in Jeremy Corbyn. 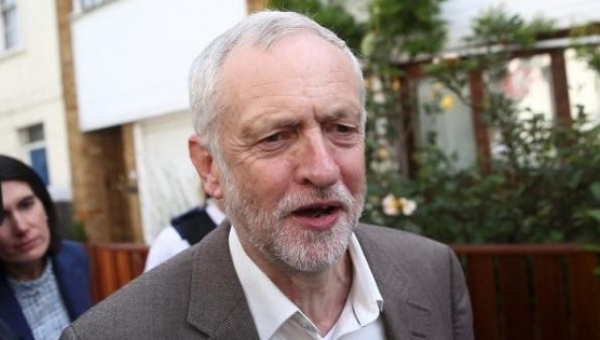 In another blow to Ms Eagle, polling for Queen Mary University revealed yesterday found that 64 per cent of Labour members who have joined since the general election would vote for Mr Corbyn in a new leadership election. Derbyshire Dales was among other CLPs which have expressed confidence in Mr Corbyn. Local member Rosemary McKenzie said: “We are all supportive of Jeremy. The right-wing Labour First faction has distributed its own model motion for members to push for a vote of no confidence within their local parties. Calderdale District Councillor Dave Young said that since Jeremy Corbyn was elected Labour leader 400 people had joined the Labour Party in his ward, tripling its membership. LIKE the ancient Chinese curse, the days that have followed Brexit have been most interesting and precarious for Britain and for the Labour Party. Last week’s cataclysmic Brexit vote may have the same repercussions politically as the shot that was heard around the world in June 1914 which killed an Austrian archduke and set Europe in motion for war and revolution that changed the governing landscape of the continent. So far Britain’s vote to leave the EU has felled a prime minister and set in motion the independence movements in Scotland and calls for reunification of Northern Ireland with the republic to the south. The stock market has been battered the abused, our credit rating slashed and the pound for a while traded at levels not seen since the 1980s when heartlands were being ravaged by Margaret Thatcher. Make no mistake, there will be worse days ahead of us now because the Brexit vote won’t reset the globalisation agenda. It will in fact just make the repercussions for the 99 per cent of Britain much more severe. It’s not just the economy that has become brutal because of Brexit, our society has been traumatised. Brexit has shown that the skin of civility in Britain is paper thin because after six years of Tory austerity the nation’s benefits system is running on empty. The referendum result has emboldened racists who feel they can abuse migrants and bully immigrant communities with an impunity that should disgust and worry us. Britain hasn’t faced a threat this grave since the dark hours at the start of our war against Hitler and fascism over 70 years ago. But back then, while evil lurked just on the edge of our shore, the ordinary people were united because Labour was united around its leader and around its mandate to fight the war and deliver a just peace for this nation. Now, however, Labour is in disarray and plunged into a battle between the democratic will of its members for a leader who represent their voice and the Parliamentary Labour Party which believes its authority supersedes the commonweal. It is why I denounce the shadow cabinet’s coup against Jeremy Corbyn because I believe that its motivations are mixed with an unhealthy combination of opportunism and ideology. I will grant there are some in this plot whose actions are based on their idealism and who may have doubts about Corbyn’s leadership capabilities. But in a time of national crisis, it is not the moment to strike down a democratically elected leader of the opposition. Such actions make a mockery of the very real and threatening crisis Britain faces today because of exit. Such actions don’t instill the membership, Labour voters or the millions of disaffected British citizens with confidence in the Labour Party to be a political movement that is for real, lasting and profound social change across this nation. In fact the coup, the confidence vote, the forthcoming leadership race will harden hearts against Labour’s message of a better Britain for all. It will make many people more suspicious of Labour’s real politics as they will believe Labour doesn’t care to advance the voice of the people over the voice of the Establishment. Moreover, it will break hearts and sour the enthusiasm of the thousands who joined Labour Party because of Jeremy Corbyn’s message of hope and economic inclusion for each and every one of us in Britain. 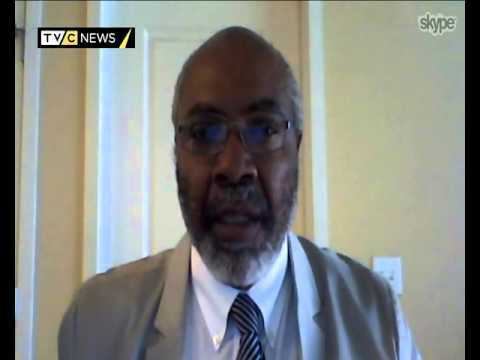 What the PLP has done can’t not be undone; it was and is a grave mistake. It may even sunder the party, and the blame for that lies solely with the PLP and not Jeremy Corbyn or his supporters. The PLP’s animosity to Corbyn has been blatant, vociferous and unrelenting since his election as leader last September. We as ordinary Labour supporters, members and fellow travellers can save the Labour Party from itself by supporting Jeremy Corbyn’s leadership. But we must do more than that: we must let our MPs, newspapers and social media know that our allegiance is not to the man but his message and for this moment and any other moment in the foreseeable future, Jeremy Corbyn is the only one in Labour will deliver an end to austerity, an end to inequality and an end to the tyranny of tax avoidance, an end to the north being asset-stripped by the south, an end to the people of Britain being driven into the ground to enrich the few at the expense of the many. We will not allow Jeremy Corbyn’s message to be drowned out by the voices of the privileged that tell us we must wait for equality while they sit and sup at the table of excess paid for by our blood, sweat and tears. Harry Leslie Smith’s book, Harry’s Last Stand, is published by Icon Books. ISLINGTON Trades Union Council stands in solidarity with our elected MP and leader of the Labour Party Jeremy Corbyn. He has been faced with some treacherous deeds by Labour MPs, and some fair weather friends in between. The plotters would have used the referendum as an excuse to set up a coup even had the result turned out differently. They were just waiting for an opportunity to attack a popular leader, voted by almost 60 per cent of the Labour Party membership. It was noticeable in the early morning, as the referendum result had been announced and the Leave campaign had won, that the Blairite tendency were busy at work. Alastair Campbell, Peter Mandelson and Tony Blair himself were analysing on the circuit rounds on TV and radio, doing their damnedest to put the result of the referendum squarely at Corbyn’s feet. Then like vultures circulating, Margaret Hodge went in for the kill. It has been emphasised that Corbyn being a former Eurosceptic had not won the Labour heartlands to the cause of the remain camp. How ironic is it, that the concept of New Labour, which Mandelson was the chief architect of, with Hodge as one of Blair’s chief advocates, had themselves neglected Labour’s core vote and abandoned Labour heartlands during the Blair years. Consequently the SNP in Scotland and Ukip in England have filled the void of a disenfranchised, disaffected, alienated and deindustrialised working class. Jeremy Corbyn has massive support from the trade union movement and grassroots Labour members, as he has been consistent through many years on a wide range of campaigns based on social justice, workers’ rights, anti-austerity, world peace and internationalism. Corbyn firmly believes in a grassroots-up type of politics rather than a top-down model. A different type of politics, by giving politics back to the people. The Parliamentary Labour Party is showing not just contempt for Jeremy Corbyn but to the Labour membership itself that overwhelmingly voted for Corbyn. This is taking place at a time when they should be attacking the Tories, who are split down the middle on Europe, and opposing Tory legislation such as the Housing Act, instead of this needless contest. When the legal problems regarding Jeremy Corbyn’s name being on a future ballot are overcome, there will be once again a growing Labour Party membership that will return Corbyn to his rightful place as leader of the Labour Party. FEW Labour MPs have cited specific policy disagreements when venting their spleen at their party’s elected leader Jeremy Corbyn. Resignation letter after resignation letter from shadow cabinet dropouts said the party could not win under him, attacked his leadership style or accused him, ludicrously, of being responsible for Britain’s decision to leave the European Union; but whether in writing or on air, specifying what they would do differently has not been a feature of this row. There are a number of obvious reasons for this. Rumours that the reason for all the delays in settling on a “beat Corbyn” candidate are because the rebels couldn’t find anyone who voted against the Iraq war, which will be back in the headlines following the publication of Chilcot on July 6, point to a wider problem: most of his opponents are associated with policies Labour members decisively rejected last summer. Since the Labour right’s comprehensive defeat in last year’s leadership election, numerous commentators from across the political spectrum have identified its lack of ideas as a key weakness. Nothing we’ve seen in recent days suggests that has changed. Last week’s referendum has thrown up huge questions. Working-class communities — of all ethnicities by the way — expressed their feelings about the Establishment in a roar of anger at the polling booth. This was a rejection of deindustrialisation, of job insecurity, of shrinking pay packets and poverty pensions, of a ruling elite whose vacuous slogans have made no difference to the fact that too many people’s lives are getting harder. Britain’s Societal Attitudes Survey piles on the evidence: for all the years of Blairite “aspiration,” 60 per cent of people describe themselves as working class — the same percentage as in 1983, before the miners’ strike. And the pain inflicted on working people by the Conservatives and Liberal Democrats since 2010 is clearly being felt. Most people now oppose welfare cuts and the numbers demanding higher social security spending and raising tax revenue for services and investment is rising. All of this indicates that the key message of Corbyn’s Labour, that inequality has gone too far and we need to start doing something about it, is as timely as ever. That is presumably why MPs’ lack of enthusiasm for their leader is failing to resonate with party members or the trade unions who founded Labour and whose millions of members keep it afloat financially. Support for Corbyn in all parts of the party except the PLP remains strong, yet those screaming for his resignation will not even address this reality, either ignoring it completely or insulting the membership as bullies or entryists in a way which is hardly likely to help them win a leadership election. Their behaviour is more petulant than statesmanlike, as the TSSA’s leader Manuel Cortes suggested. And it’s the behaviour of a parliamentary party which does not appear to have learned anything at all from Corbyn’s election last year, or have the faintest understanding of its wider societal implications. The battle for the Labour Party is on. It no longer looks possible to avoid. We know who started it: MPs who are challenging not one man, but the whole of the rest of the party; and who have made their declaration of war without a leader, a plan or a programme. In his speech, the emabattled Labour Party leader outlined his political ideals that have guided his leadership. Labour Leader Jeremy Corbyn speaking in London Wednesday explained that he is “very proud to be carrying on” as the party's leader despite calls from the opposition and within his own party to resign in the wake of the Brexit from the European Union. Speaking outside the School of Oriental and African Studies, Corbyn said that when he became Labour party leader last year he “wanted to change the way we do politics." He explained that like many of his supporters, it was not his wish to leave the EU, which now presents a difficult economic situation, saying it was important to keep protecting workers rights and environmental sustainability regulations. Corbyn explained that austerity measures would only make things worse. Since assuming the leadership he said that he was determined that “we would challenge the politics and the economics of austerity … Austerity is a political choice, not an economic necessity." “A successful economy is one that reduces inequality, that does provide for full employment, that does use the skills of everybody to the good of all of us,” he added. During his speech he was heckled by the crowd, “What about Europe? Where were you when we needed you?” a man shouted. 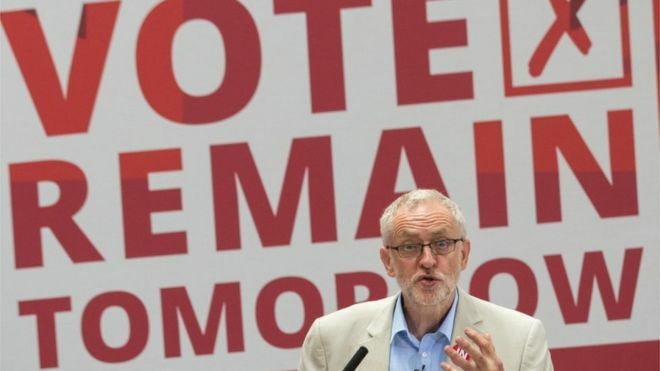 Corbyn supported the "remain" campaign in last week’s referendum to leave the EU. Corbyn lost a vote of no confidence on Tuesday by a significant margin. On Monday, a total of 44 shadow ministers resigned amid the "Blairite" coup. Angela Eagle is expected to declare for the leadership Thursday, according to reports from the BBC. Corbyn's leadership was backed by a number of Britain's trade union leaders in a statement made today. Most of the attackers are between 13 and 18 years old, attacking women with visibly Muslim clothing. Hate incidents rose 57 percent in Britain in the four-day fallout after voters decided to leave the European Union, and public hate crimes against Muslims rose 326 percent in 2015, according to new reports. Most of the perpetrators in 2015 were between 13 and 18 years old, reported U.K. monitoring group Tell MAMA, attacking women with visibly Muslim clothing. The findings “suggest that some teenagers are being radicalized and are moving away from the mainstream views of their age group, who are much more multicultural in their orientation,” said the report, released Monday. While much of harassment is on social media, a common site of radicalization, the increase only counted crimes committed on the streets, especially in schools and on public transportation. Bystanders did not intervene, according to many of the over 800 verified cases of harassment, painting a “ profoundly bleak picture,” said Shahid Malik, chair of Tell MAMA and a former Labour minister. “This exponential growth is a testament to the fact that despite great efforts to fight anti-Muslim hatred, as a society we are still failing far too many of our citizens. With the backdrop of the Brexit vote and the spike in racist incidents that seems to be emerging, the government should be under no illusions, things could quickly become unpleasant for Britain’s minorities” said Malik. Threats have risen so dramatically that some women said they had to change their daily routine, while an earlier report recorded that they are also changing their clothing and social media activity. Tell MAMA compiles police records and reports made directly to the organization, but it acknowledges that many do not report for fear of retribution and appearing weak to their communities. The National Police Chiefs' Council counted a 57 percent spike in online hate crime reporting between Thursday, the day of the referendum vote, and Sunday from the same period a month before, and the Muslim Council of Britain registered 100 hate crimes only over the weekend—12.5 percent of crimes during all of 2015. A new group, Post Ref Racism, was created following the referendum to record the dramatic spike in crimes following the vote to leave the EU. Reports to Tell MAMA often note that slurs are race-based, according to the group. Just under 52 percent of British citizens voted on June 23 to leave the European Union. The lawmakers say voters should be given a chance to weigh in on the terms of leaving the European Union. Two MPs have begun moves to secure a second referendum on leaving the European Union, saying that voters must be given a chance to approve or reject the country's exit plan before formal negotiations begin. Millions of Britons have reacted with shock after the country voted last week to leave the EU by 52 to 48 percent, triggering financial market turmoil, economic uncertainty and a political crisis engulfing the country's two main parties. That has pushed some MPs to put out a rallying cry for members of parliament to show their support for a second referendum that would allow the public to vote again once the shape of Britain's new relationship with the EU becomes clear. "UK citizens must agree on the terms of leaving the EU and, if not satisfied, be given the opportunity to opt for the UK to remain an EU member," said a formal notice submitted to parliament by MP Geraint Davies of the Labour Party. The motion, backed by a second MP, Jonathan Edwards of the Welsh Plaid Cymru party, noted that nearly 4 million members of the public had signed a petition for a second vote. Davies said that informal negotiations with other EU leaders should be used to compile a Brexit plan, which should then be put to a public vote before the "Article 50" legal process of leaving the bloc, a period of up to two years, is activated. The ruling Conservative Party has said it will not trigger Article 50 until its new leader has been appointed, due by Sept. 9, although some European leaders have called for the process to begin much sooner and dismissed the notion of informal talks. The notice, compiled on the legal advice of an academic constitutional lawyer, has no formal power to force a second referendum. But it will be used as a vehicle to gather signatures from other MPs and generate political momentum. Davies said he expected it to attract more than 100 signatures, which he believed would be enough to prompt a serious discussion on the issue. The regional bloc of UNASUR will offer easier entry to South American countries and extended work permits. The Union of South American Nations (UNASUR) began to move forward on a central project to provide a South American citizenship - meaning that hundreds of millions living in the region could move and work freely anywhere in the region. "Today, UNASUR’s South American citizenship project gives its first steps, that will link 400 million South Americans, making South America a great country," said Ernesto Samper, the bloc’s secretary general on Twitter Tuesday. Samper said the initiative on regional citizenship will include a South American passport and the elimination of restrictions preventing the free mobility of people to live or work in any country in the region for up to six months. It will also provide more rights for workers, as is currently being done with the Southern Common Market (Mercosur) visa, which one million people hold. The former Colombian president said the visa is destined to become the “Schengen visa for South Americans,” and would protect the 26 million South Americans living abroad. Samper also referred to a strategy taken by the bloc to request that the 5,000 current South American prisoners in Asia serving either life imprisonment or death sentences, could be judged under South American laws. The final project will be presented for approval to the heads of state of the 12 member countries, at the next summit of the bloc in Montevideo, Uruguay this year. 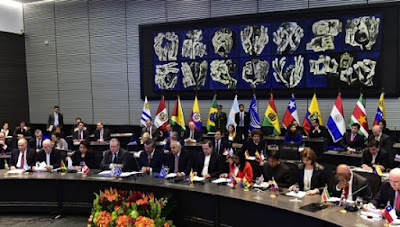 The members of the regional bloc are Argentina, Bolivia, Brazil, Chile, Colombia, Ecuador, Guyana, Paraguay, Peru, Suriname, Uruguay and Venezuela. UNASUR promotes regional integration, and rejects any form of colonialism and intimidation from other countries. 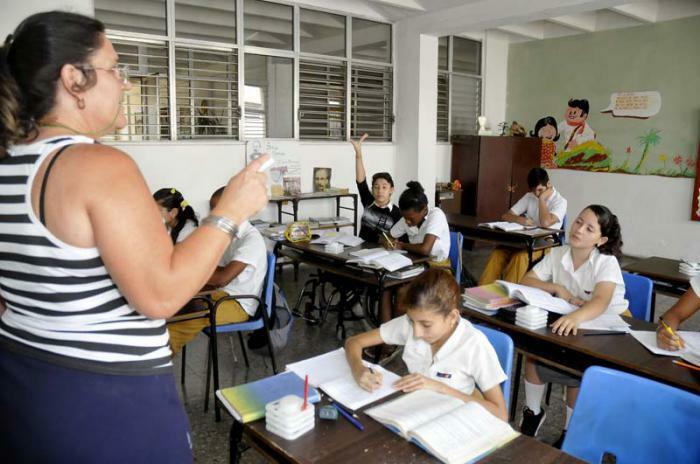 Several views of the current situation in Cuban education are being offered at the 10th International Congress of Business Management and Public Administration, underway in Havana's Convention Center, June 28-29. The event, focused around the watchwords: Public and business administration to promote knowledge and innovation, was opened by Dr. Rodolfo Alarcón Ortiz, Cuban minister of Higher Education, who addressed the 100 delegates from 18 countries in attendance, and discussed the importance to society of expanding knowledge and innovation to achieve sustained economic growth and improve the population's standard of living. "In a world in which wealth is distributed so unequally, educators in the field of management must understand the effects this can cause, and react academically, training professionals capable of defending their identity and culture," he said. Underway at the same time, at the Convention Center, is the 7th International Congress on Special Education and Pedagogy, during which educators and researchers are discussing inclusive education, training for professionals, and better school organization to meet all students' needs. This event's schedule includes presentations on the use of technology in special education, and visits to several Havana schools: the Dora Alonso, Vo Thi Thang, Eterno Baraguá, and Fulgencio Oroz. 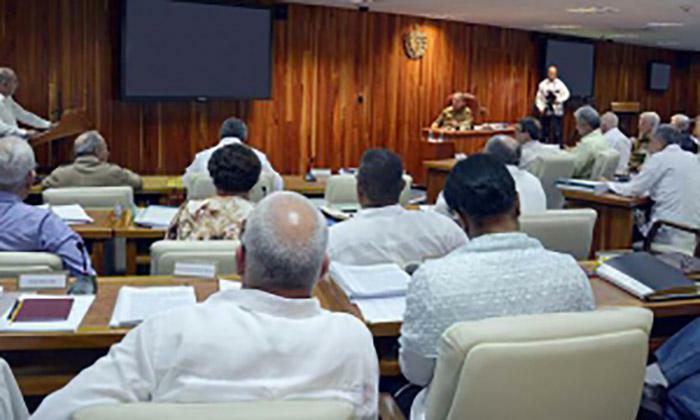 Led by President Raúl Castro Ruz, Cuba's Council of Ministers met yesterday, June 27, and discussed a report presented by Minister of Economy and Planning, Marino Murillo Jorge, on the country's economic performance during the first half of 2016. The report was approved for its presentation to the upcoming session of the National Assembly of People's Power. Murillo explained that despite existing limitations, efforts to increase productivity and replace imports with domestic products continue, while members of the Council of Ministers emphasized the need to eliminate unnecessary expenses, and take advantage of untapped opportunities for more savings and greater efficiency. Lina Pedraza Rodríguez, minister of Finances and Prices presented the 2015 budget close-out report, which will also be submitted to the National Assembly for approval. She indicated that budgeted activities were carried out in accordance with approved projections, with 54% of expenses concentrated in the areas of education, health, and social assistance. Pedraza reported that funds allocated for subsidizing housing construction amounted to 1.1 billion pesos, of which 809 million was used to benefit more than 16,400 persons. She noted, however, that funds remained to be distributed at the end of the year, "indicating that provincial and municipal bodies must speed up this process." According to her report, the fiscal deficit reached 5.55 billion pesos, below the limit approved, representing 6.1% of the Gross Domestic Product. On this point, Gladys Bejerano Portela, comptroller general of the nation, explained that her office conducted some 100 reviews of the 2015 budget close-out process and the drafting of the 2016 proposal, noting that recommendations from 2014 had, for the most part, been incorporated and plans fulfilled. It was noted that municipal administrations, which were audited for a second time because of previous shortcomings, demonstrated improved management of their bookkeeping systems, and were maintaining better control of budgeted resources. Likewise, Bejerano indicated, the majority of provincial leadership bodies responsible for finances and prices played the role expected of them, consulting, supervising, and controlling the execution and close-out review of budgets. She noted that the Ministry of Finances and Prices had improved its planning, execution, and supervisory mechanisms, despite limited human resources, and the complexities of structural changes taking place in the economy. Addressing persistent problems, Bejerano cited shortcomings in the control of resources by state budgeted entities, especially at the community level, and emphasized the importance of improving the quality of analysis when the execution of budgets is reviewed by leadership bodies and workplace staff. She likewise noted the need to continue insisting on compliance with tax laws and payments. The Comptroller General presented a report on progress in addressing social indiscipline, illegalities, and cases of administrative corruption reported in 2015. The analyses of criminal acts which took place in economic entities make clear, she said, that measures adopted thus far to reduce such behavior have not had the full impact desired, since an environment of impunity and the lack of control continue to predominate in some administrations. These cases are concentrated in local level entities under municipal supervision, with the greatest incidence in commercial, agricultural, and food service activities. She emphasized that elements contributing to such conduct include the existence of individuals who work together to violate the law and ethics, for personal gain or that of third parties; failures in internal auditing systems; lack of compliance with official duties; and the abuse of authority on the part of administrators and officials. Also discussed by the Council of Ministers were efforts underway to combat and prevent illnesses spread by mosquitoes of the aedes genus. Roberto Morales Ojeda, minister of Public Health, reported that the risk of Zika, dengue, and Chikungunya in the country is high, given the difficult epidemiological situation in the region, where serious mosquito infestations exist, and Cuba maintains a high level of collaboration and interaction. "Following work done in the intensive phase, the mosquito infestation index has been reduced, and consequently the spreading of dengue, which earlier had been reported in 14 provinces and the Isle of Youth special municipality, but currently continues in only one municipality in Guantánamo. Moreover, thus far, not a single case of Chikungunya has been diagnosed", he said. In terms of the Zika virus, he explained that vigilance measures in place have allowed for the detection of 22 imported cases and one autochthonous, with no evidence of its transmission in any of the country's provinces. Morales commented that, within the population, awareness of the risks of these diseases has improved, with a consequent increase in participation in efforts undertaken in conjunction with community bodies and organizations. Taking into account results of the recent intensive anti-vector campaign, and persistent environmental problems, Morales indicated that another round of measures were needed to protect gains achieved, especially given conditions generated during the summer rainy season that contribute to mosquito infestations. The Minister emphasized the damage these diseases cause to human health, and the economic and political cost that a large scale epidemic would entail. In this context, he referred to steps planned directed toward comprehensive action to reduce risk factors, to reach infestation indices that do not allow for the transmission of disease. Morales concluded his report reiterating that prevention continues to be the country's principal tool against these infectious diseases, although even with systematic work on the part of health authorities in all provinces, it is not possible to eliminate mosquitoes without the populations' participation and that of local governments. 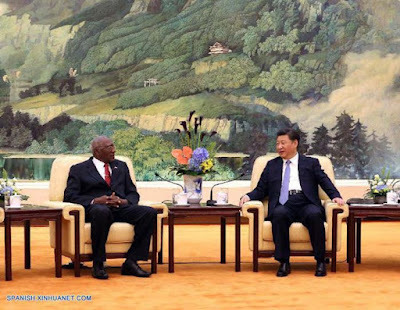 BEIJING.— On June 27, the President of China, Xi Jinping, received Salvador Valdés Mesa, a vice president of Cuba’s Council of State, making an official visit to the country to report on the results of the 7th Congress of the Communist Party of Cuba, according to PL. Speaking with Valdés Mesa also member of the Party Central Committee Political Bureau in the Great Hall of the People, Xi conveyed a message of congratulations to his Cuban counterpart, Army General Raúl Castro, on a successful 7th Party Congress, which took place in April in Havana. He also recalled his 2014 visit to Havana, describing the trip as unforgettable and emphasizing the warm welcome he received. ”I visited the heroic city of Santiago de Cuba with compañero Raúl Castro, and was able to appreciate the glorious history of the Cuban Revolution,” he noted. The Chinese President also praised Cuba’s achievements over more than half a century and expressed his confidence that the Cuban people will contribute to the successful development of socialism under the leadership of the new PCC Central Committee, of which Raúl Castro is first secretary. 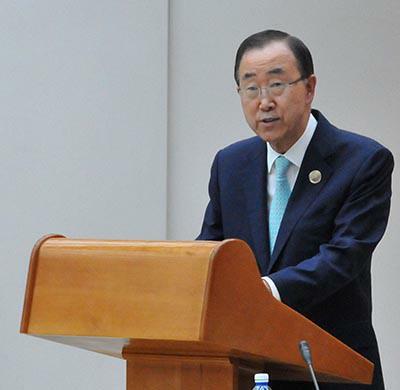 He also commented on the historic ties and shared ideals which unite the two peoples and governments. 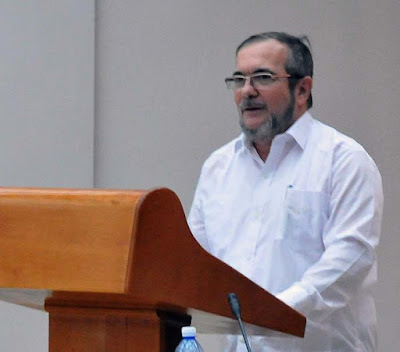 For his part, Valdés Mesa, thanked the Chinese President on behalf of Raúl Castro for his message congratulations following the 7th Party Congress, and commented on the longstanding ties of friendship between the two nations. Both leaders agreed on the desire expand collaboration efforts and exchange experiences based on their respective realities. 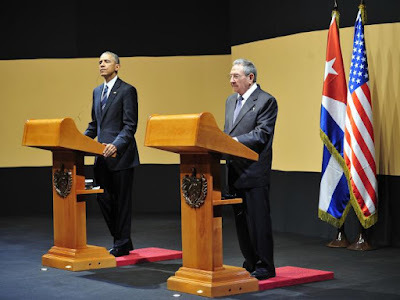 They also described the two countries as references in the tireless struggle to construct socialism. Valdés Mesa, who arrived in China on June 25, began his visit in the municipality of Shan­ghai where the Communist Party of China was founded 95 years ago. 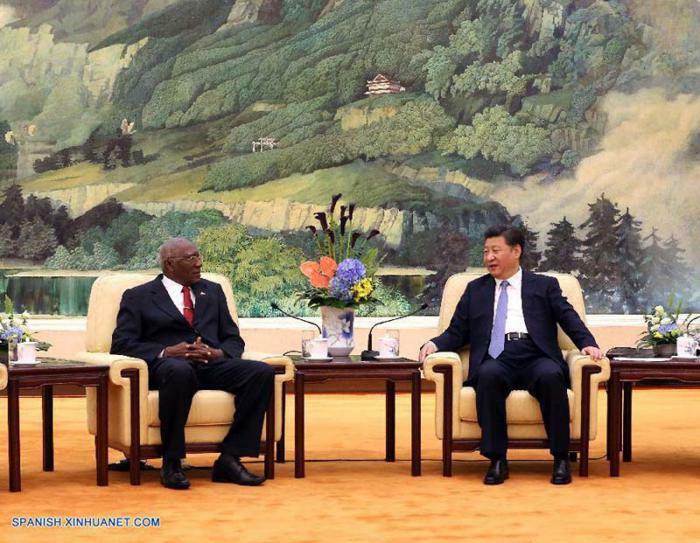 BEIJING.— Salvador Valdés Mesa, a vice president of the Council of State, concluded a productive official visit to China this Tuesday, June 28, during which he informed Chinese authorities of the results of the 7th Congress of the Communist Party of Cuba (PCC). The member of the PCC Political Bureau held meetings with the President and General Secretary of the Communist Party of China (CPC), Xi Jinping, and the Vice President and member of the CPC Political Bureau, Li Yuanchao, reported PL. Both sides noted that exchanges took place in a friendly atmosphere and agreed that both Cuba and China are proud of their achievements and progress in the construction of socialism, based on the specific characteristics of each country. The Vice President of the Council of State of Cuba expressed gratitude for the high-level agenda prepared during his visit to the country, and the warm welcome received from the Party, government and Chinese people. The Cuban politician arrived yesterday afternoon in the Democratic People's Republic of Korea, as part of his tour of Asian socialist countries to report on the results of the 7th Congress of the PCC. The debate over Cuba is gaining strength in the U.S. Congress, despite that fact that a year and a half after President Barack Obama called for lifting the blockade, no concrete steps have been taken. Last week, as part of the 2017 Financial Services and General Government Bill, the U.S. Senate Appropriations Committee approved four amendments to remove restrictions on travel to Cuba; authorize private loans for the sale of agricultural products to the island; expand exports of equipment and telecommunications services; and allow airplanes from third countries flying to or from Cuba to refuel in the Bangor International Airport, in the state of Maine. Its common practice within the U.S. Congress to include specific provisions within other more important bills, especially those which fund government budgets. These amendments, however, have a long and difficult journey ahead of them. In the best case scenario, following its approval by the Committee, a bill should be voted on in a Senate plenary session, and subsequently reviewed by the House of Representatives Conference Committee. Then, the new version will once again be submitted to consultation and approval by both Houses before being sent to be signed by the President. But recently this has not been the case. With the increasing polarization in Congress between the Democratic administration and Republican majority, a common battle field is that of budget bills, which end up receiving last-minute approval through an omnibus bill. All experts consulted by Granma agree that although initiatives to improve relations with Cuba have little chance of survival, this doesn’t in any way detract from the significance of growing bipartisan support for rapprochement between the two countries. Professor of Government at the American University,William M. LeoGrande, notes that the House of Representatives version of the 2017 spending bill will almost certainly not include amendments similar to those made by the Senate, but rather provisions to block advances being made in regards to Cuba-U.S. relations, as happened last year. According to LeoGrande, if the bill manages to get approval from both Houses, it would then be reviewed by a committee which would rectify any differences which might exist in the respective versions. 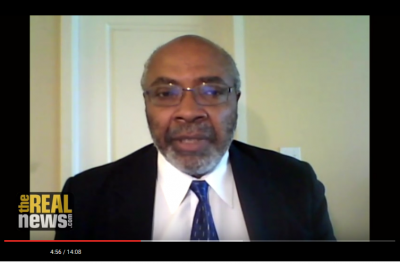 Thus the future of initiatives related to Cuba is difficult to predict, notes the U.S. professor. U.S. attorney and Cuba expert, Robert Muse, agrees with LeoGrande’s analysis, but highlights the support of senior figures in the Republican party to an amendment in favor of authorizing private loans for the sale of agricultural products to the island, proposed by John Booz­man (R-Arkansas), and Jon Tester (D-Montana). The bill was approved by an eight to 22 vote, which also saw Committee on Appropriations Chairman, Thad Cochran (R-Mississippi) vote in favor. One of the sectors pushing for policy change toward Cuba is the United States’ powerful agriculture industry. Ironically, the sector which has been leading this struggle is also the most limited in this new scenario, due for example to a law which demands Cuba pay in advance, in cash, for all food products purchased from the U.S. According to Muse, the proposed amendment aiming to change this situation has a “chance of surviving,” in the debates in the House of Representatives. In any case, the U.S. attorney believes that the remaining bills, specifically that seeking to eliminate restrictions on travel to Cuba, could potentially be used as leverage to quell attempts by those opposed to improving relations. The Senate’s 2017 Financial Services and General Government Bill already includes two amendments which would negatively impact the rapprochement process, and which if approved, will block cooperation between the two countries on all issues linked to security, or the return of the territory illegally occupied by the Guantánamo Naval Base. Other negative measures included in spending bills for different federal agencies are being proposed in the House of Representatives; something which also happened last year, with none receiving approval on that occasion. Those opposed to rapprochement were unable to block executive measures adopted by the President toward this end. Draft bills submitted by legislators in favor of expanding ties with the island also failed to advance. Beyond amendments, various independent bills regarding Cuba - seeking to remove restrictions on travel to the island, permit the granting of credits and investments in the agriculture sector and lift trade restrictions - are currently making their way through Congress. Senator Jeff Flake, (R–Arizona) and Patrick Leahy (D–Vermont) are attempting to push through a bill which would allow U.S. citizens to freely travel to Cuba and already has a simple majority in the 100 seat-chamber. However, the two Senators are hoping to attain a total of 60 votes in order to avoid any possible difficulties if the bill reaches the Senate plenary. The greatest obstacle, however, continues to be the House of Representatives. A similar bill proposed by Mark Sanford, (R-South Carolina), has so far achieved 129 co-sponsors (109 of which are Democrats) in a 435 member-chamber dominated by Republicans. Although PresidentObama has broad executive powers to continue gutting the blockade, since the Helms-Burton Act was passed in 1966, it is only Congress that can definitely end the policy. Experts agree that the current U.S. Congress is one of the most polarized and dysfunctional in the country’s history. However, many observers remain optimistic in regards to the issue of Cuba. “More and more, members of Congress are realizing how unfair it is to deny Americans the right to freely travel to Cuba and to block American farmers and companies from doing business there,” noted Steven Law, former chief of staff to Senate Leader Mitch McConnel and current senior advisor to pro-normalization group Engage Cuba. Law described the approval of the four amendments by the Committee on Appropriations as proof “there is growing bipartisan support for changing our obsolete policy toward Cuba…this is what historic change looks like,” he added. A recent poll by CBS suggests that 81% of U.S. citizens are in favor of lifting travel restrictions to the island (including some 71% of Republicans). According to the Pew Research Center, support to expand trade with Cuba is growing most rapidly among Republicans. Good morning, it is an honor to be with you on this important day for Colombia and for Latin America and the Caribbean. I am very pleased and grateful to have the opportunity to once again enjoy the hospitality of Cuba. (In English) On this day, in a world beset by seemingly intractable wars, the peace process in Colombia delivers on a key commitment: an agreement on a ceasefire and the laying down of weapons. Today the Colombian peace process validates the perseverance of all those around the world who work to end violent conflict not through the destruction of the adversary, but through the patient search for compromise. I want to express my great admiration for the negotiating teams, which have demonstrated that it is possible to achieve peace with dignity for all concerned. They have overcome tense moments and challenging issues to arrive at an historic achievement. I also congratulate the Governments of Cuba and Norway, which have devoted considerable diplomatic skills to this peace process. Together with the accompanying countries, Chile and Venezuela, they have shown how national peace efforts can be supported faithfully, discreetly and effectively. Six months ago, the United Nations Security Council and the Community of Latin American and Caribbean States, or CELAC, responded to the call of the Government of Colombia and the FARC-EP, and made a commitment to support the implementation of the ceasefire agreement and the laying down of weapons. The signing of this essential component of the peace agreement will strengthen this commitment. It will now be crucial to mobilize the people and resources required for monitoring and verification. We know that peace talks continue, and that significant issues are still outstanding. But we trust that today’s achievement will provide renewed momentum towards the last phase of the negotiations. Expectations are now high that the vision articulated in the agreements reached over the past three years will soon become a reality. I strongly encourage you to fulfill these hopes. We at the United Nations are determined to do everything we can, alongside the Government and the FARC-EP, to translate a remarkable negotiating process into exemplary implementation of the peace commitments made. In my last year as Secretary-General of the United Nations, it is truly a privilege to participate in this historic event. It is an honor to be by your side in laying the groundwork for lasting peace and a better future for all the country’s people. Let us now work together so that the promise of peace made today in Havana is fulfilled in Colombia. "May this be the last day of war," were the words FARC Comandante Timoleón Jiménez chose to begin his comments following the signing of a ceasefire agreement with the Colombian government, going on to recall former Venezuelan President Hugo Chávez, who he described as "a warrior for peace in Latin America and the Caribbean, without whose valuable initiative and efforts, this historic event would not have been possible." Jiménez noted that 52 years after the beginning of the conflict, the FARC had reached agreement with the Colombian government, which "leaves us at the threshold" of a final accord, allowing for a return to legal, democratic political life. What Presidents from guarantor and accompanying countries present here can attest to is that this agreement is not a capitulation on the part of the insurgents, but rather a product of dialogue between two forces which have been in fighting for half a century, without being able to defeat the other, he said. The guerrilla leader said that the signing of the accords cannot be interpreted as something imposed, that the process involved long discussions and times of frustration, but that anyone who denies the importance of these agreements is causing great harm to the country. He expressed his confidence that final agreement was near, to put an end to the conflict and signal the beginning of lasting peace. Remaining to be resolved, he said, are a few key points, but that a struggle will be required to ensure that what is agreed is, in fact, implemented. An ongoing mobilization of the people, Jiménez insisted, will be necessary. He said that the FARC-EP will be involved in the country's political life, using peaceful, legal means, with the same rights afforded all political, noting that the Colombian government must ensure that citizens are not persecuted for their political positions. He likewise emphasized the important role communities will play in ensuring the peace in rural areas, and eliminating unemployment, insecurity, the lack of public services, crime, and paramilitary groups. Jiménez commented that those who will benefit the most from an agreement are future generations, and that is why the FARC is extending its hand to youth, to construct of a new country, to defend peace and reconciliation. The FARC-EP Chief of Staff concluded his comments as he began, "We are confident that within a reasonable time, we will celebrate the signing of a final agreement. May this be the last day of war." 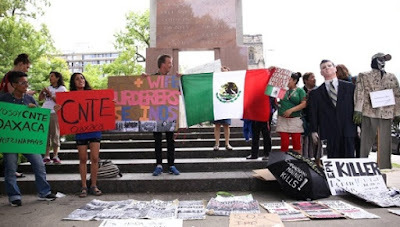 Activists from Canada, U.S., and Mexico gathered in Ottawa to demonstrate against the TPP and Mexican President Peña Nieto. The heads of government from Mexico, Canada, and the United States gathered in Ottawa Wednesday for the "Three Amigos" Summit in order to push trade liberalization, and specifically the TPP. Mexican President Enrique Peña Nieto, Canadian Prime Minister Justin Trudeau, and U.S. President Barack Obama were forced to defend free trade in light of renewed debate about globalization after the surprise result from the U.K. referendum that saw voters narrowly vote to leave the European Union, as well as critical comments about free trade pacts from Donald Trump, the presumptive Republican nominee for the U.S. presidency. The three countries are already united through the North American Free Trade Agreement, better known as NAFTA. But the “Three Amigos” made a renewed pitch for the approval of another similar deal, the Trans-Pacific Partnership, or TPP. The deal is highly controversial, with opponents warning that it is designed with the interests of transnational capital in mind and will only lead to greater misery and inequality. However, the impact of free trade agreements on workers, campesinos, and low-income people is nothing new to Mexico, which has seen poverty and inequality grow significantly in the 22 years since NAFTA came into effect. Suarez, who works with the group Mexico Better Off Without the TPP, says that NAFTA should act as a warning of the impacts of these kinds of trade deals. “Before NAFTA, Mexico was a developing country. But now it’s an underdeveloping country, with 70 percent of people in rural areas and 85 percent of the Indigenous population living in poverty,” said Suarez. But it's not just NAFTA that's at fault, Peña Nieto's neoliberal ideology, which is shared by Trudeau and Obama, has also made an impact. Suarez says Peña Nieto's neoliberal reforms have generated even greater social conflict. The Peña Nieto government has been the subject of heavy criticism over its heavy-handed response to striking teachers protesting a highly controversial education reform. Police fired live ammunition against protesting teachers in the state of Oaxaca, leading to the deaths of at least nine people. “There is a growing discontent (in Mexico) that the government answers not with with dialogue but with repression,” Suarez told teleSUR, highlighting the case of demonstrators who were gunned down by the state. According to activist and former lawmaker, Mexico is already enduring grave human rights crisis. Suarez warns of a coming “social explosion” if the political and economic elites continue to push neoliberal reforms and trade liberalization deals like the TPP. “An undemocratic system that concentrates wealth in the hands of the few cannot provide answers to those who are enduring increased poverty and inequality,” Suarez told teleSUR. The TPP is already being debated by the Mexican Congress and is considered priority legislation by the ruling PRI party and the likelihood of its approval is high. That's why groups like Mexico Better Off Without the TPP have been working to create links with social movements in other countries, like the U.S. and Canada, in order to coordinate a transnational response and fight the approval of the TPP wherever possible. Aguilera was a noted Chavista activist in her community. 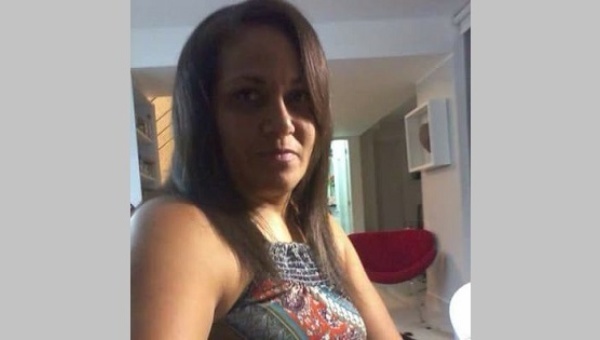 Elizabeth Aguilera was killed in retaliation for her work against organized crime in Venezuela. This community activist and local leader of Venezuela's Socialist Party was killed by alleged members of a paramilitary gang in Caracas, according to a party spokesman. Elizabeth Aguilera, was the head of her local unit of the PSUV, the ruling party headed by President Nicolas Maduro. Aguilera was shot multiple times in the Cota 905 sector, a popular area in the south-center of the Venezuelan capital. Her body was also burned and photographs were posted on social networks, presumably by Aguilera's murderers. The crime was confirmed by an official from the district government, Daniel Aponte, who said the attack was perpetrated by a "paramilitary group." “Justice will be done, the PSUV party expresses its total solidarity,” said Aponte, who called Aguilera a fighter, a committed Chavista, and a community leader. According to police officers, the perpetraitors fled the Sucre neighborhood when a unit from the federal anti-paramility squad, called Operation Liberation and Protection of the People or OLP, came to the area. The OLP was created to fight violence and paramilitary groups in the country, especially in the wake of paramilitary violence that led to the closure of Venezuela's border with Colombia. Police say Aguilera was likely targetted because she was providing information to police on crime in her neighborhood. The area where the murder occurred is said to dominated by a criminal outfit headed by an individual called "Coki," who is estimated to have at least 120 men under his command. The group is accused of vehicle theft, kidnapping, extortion and murder. According to the newspaper El Nacional, residents of various communities in Cota 905 acted as confidential informants to identify and pinpoint the location of several criminals who were subsequently targetted the OLP in July 2015. The PROMESA Bill plans to give a U.S. federal board control of Puerto Rico's economy to pursue austerity and debt restructuring. The United States Senate voted on Wednesday to advance a controversial bill to address Puerto Rico’s crippling US$70 billion debt crisis, just days before the Caribbean island is poised to default on a US$1.9 billion debt payment. Senators voted 68-32 for cloture of the bill, setting up a vote on final passage no later than Thursday afternoon. Lawmakers predicted that the vote will be tight as supporters scramble to get the Puerto Rico Oversight, Management, and Economic Stability Act, also known as the PROMESA Bill, through Congress before Puerto Rico’s July 1 debt payment deadline. PROMESA proposes to hand control of Puerto Rico’s economy, including debt restructuring, over to a Washington-appointed federal oversight board. Both Republicans and Democrats back the bill. Though several Democrats have raised concerns about the structure of the legislation, many also argue that the consequences of a default without a plan in place are too serious to justify opposing the bill. 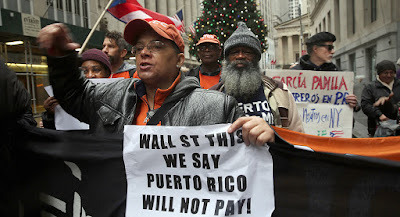 Debt expert Eric LeCompte, executive director of Jubilee USA, argued in a letter to the Senate on Tuesday that the “very serious” impacts on Puerto Rico if the bill fails would include threats to social services and pension protections, as well as a swoop of predatory “vulture funds” looking to exploit the economic crisis on the island. Republican opponents have expressed concern that PROMESA could be grounds for the U.S. to bail out the cash-strapped island, while the bill’s backers have assured that no U.S. taxpayer money will go to Puerto Rico’s crisis. Unlike U.S. states, Puerto Rico—a U.S. territory—cannot declare bankruptcy, a fact that has led to the current crisis. Meanwhile, some on the left have slammed PROMESA as a plan to ramp up colonial rule in Puerto Rico by giving U.S. authorities more power than the local government. When PROMESA passed through the House by a 297 to 127 vote earlier this month, Democratic Congressman Luis Gutierrez leveled fierce criticism against the bill, saying it was “wholly undemocratic” and would “impose a junta” on Puerto Rico. “We’re debating how we will take power from the people who are virtually powerless already,” he said. Puerto Rico suffers a 45 percent poverty rate and high out-migration to the U.S. mainland, where rights as U.S. citizens denied to those on the island can be realized. More than half of Puerto Rico’s children live in poverty and the local government has closed schools and cut funding for essential services to pay off its debt. Two days before a potential historical default, Puerto Rico Governor Alejandro Garcia Padilla made it clear that the commonwealth won’t pay bondholders even as Congress votes on a bill allowing the island to restructure its $70 billion in debt. “On July 1, 2016, Puerto Rico will default on more than $1 billion in general obligation bonds, the island’s senior credits protected by a constitutional lien on revenues,” Garcia Padilla wrote in a editorial posted on a CNBC website. The lapse will mark the first time the U.S. territory has failed to pay what it owes on general-obligation debt, a $13 billion swath that its constitution says has the top claim to the government’s funds. Garcia Padilla previously said the commonwealth couldn’t raise enough to cover what’s owed to bondholders even if he shut down the government. The island has about $2 billion in principal and interest payments due Friday. The default signals the depths of the crisis on the island, which had been tapping whatever funds it could to avoid missing payments on securities backed by the strongest legal pledge. The escalating strain prompted Congress to create a bill that would give Puerto Rico the ability to cut its debt and put a hold on bondholder lawsuits that could jeopardized its ability to pay for schools, police officers and health care. The Senate voted 68-32 Wednesday morning on the measure, setting up a final-passage vote as soon as this evening. Some Puerto Rico securities traded up in price even after the governor’s comments because the Puerto Rico bill advanced in the Senate, said Daniel Hanson, an analyst at Height Securities, a Washington-based broker dealer. General obligations with an 8 percent coupon and maturing 2035 changed hands at an average price of 66.6 cents on the dollar, up from 65.2 cents on Tuesday, according to data compiled by Bloomberg. It would be the first payment failure from a state-level borrower on debt backed by the full power to raise taxes since Arkansas’s in 1933. Since August, Puerto Rico had already defaulted on debt issued by three agencies, including the Government Development Bank, though creditors were left with little recourse because the securities were backed by weaker legal safeguards. While Garcia Padilla has said the commonwealth doesn’t have enough money to pay investors on Friday and continue essential services, its revenue collections, which were revised last year, are on target. The island collected $8.69 billion of general-fund revenue from July through May, $15 million above revised budgeted estimates, according to Puerto Rico’s Treasury Department. Along with missing smaller payments on agency debt with weaker repayment pledges, Puerto Rico owes contractors and suppliers $2 billion. “They’ve had a relatively strong tax year and yet still find themselves not paying bills,” Hanson said. Puerto Rico, which became a territory in 1898 following the Spanish-American War, stopped paying bondholders so it can maintain essential services for its 3.5 million residents, nearly half of whom live in poverty. With more debt than any state but California and New York and a shrinking economy, Garcia Padilla said a year ago that the commonwealth couldn’t repay all that it has borrowed and he has unsuccessfully sought to persuade investors to accept less than they’re owed. The crisis hasn’t triggered any broader contagion in the U.S. municipal-bond market because investors view Puerto Rico’s problems as unique. The yield on an index of top-rated 10-year munis was 1.34 percent, up from 1.3 percent Monday, the lowest level since at least 2009, Bloomberg data show. Without the ability to file for bankruptcy protection as cities including Detroit have done, Puerto Rico pushed Congress to give it legal tools to force creditors to the bargaining table and prevent an onslaught of lawsuits. The legislation will establish a federal control board with the power to oversee the budget and a debt restructuring in court if needed. President Barack Obama’s administration lobbied for the legislation. 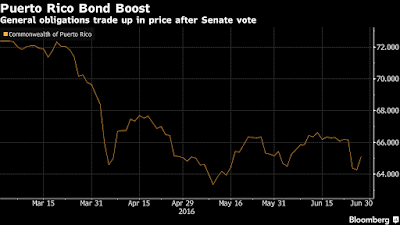 While the bill gives Puerto Rico the ability to reduce its debt load, investors will seek spending cuts and government efficiency, Hanson said. “Creditors are now going to get a court or the control board to come together and force the Puerto Rican government into some kind of austerity plan,” Hanson said.